Of all the subjects you can teach your children, reading is the most important especially if you have children who have trouble reading on their own. The ideas and words just need to get into their heads. It doesn’t really matter how. You need to reach their hearts. I have twins, one boy and one girl. They are fast friends and have gone through life always shoulder to shoulder, together. And yet they couldn’t be more different. They have drastically different abilities. It was as if God gave them a fantastic complementary set of talents. They help and encourage each other through the tough times and celebrate the good moments together. Reading was one of those talents that my twins do not equally share. For one, reading is as easy as breathing. For the other, dyslexia stood in the way of walking in those wonderful worlds we find in books. And so I have read aloud to them both. Always. When my twins were born, I drowned my new-mother fatigue in reading to my children. My twins and I read all sorts of books in those days, one baby balanced on each of my legs so I could see their faces while I read to them. It was my way of filling their hearts with love. After a month or so, they were old enough to survive to be laid on a blanket without me holding them (remember these were my first children). Then my two precious babies and I lay on a comforter on the living room floor in the afternoon sun each day, and I would read picture books to them. I tried to touch their hearts with joy and curiosity. I think my husband and I read to our kids three or four hours a day until they could read for themselves. We filled their hearts with virtue and truth and goodness and stories—lots and lots of fantastic stories. Now my twins are teenagers, and we still sit in the living room every afternoon to read. We read different things today, mostly literature and history and science and political theory. 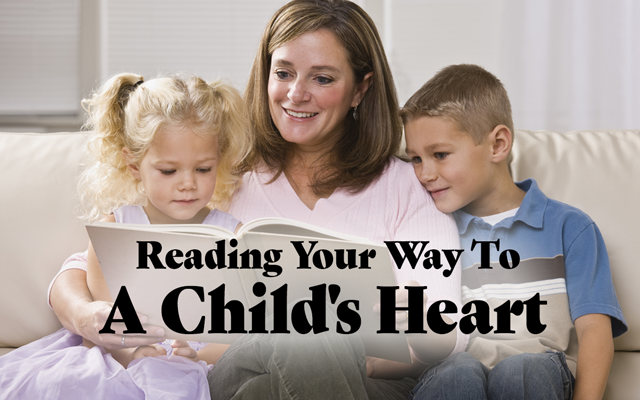 Today, I find my children are touching my heart with their thoughts and ideas that result from reading. All that reading is responsible for my kids knowing so much about life, their faith, and the world around them. It is responsible for developing fantastic writing skills that well-surpass my own. And all that reading gave my children a platform upon which to think critically and to choose their path in life independently. 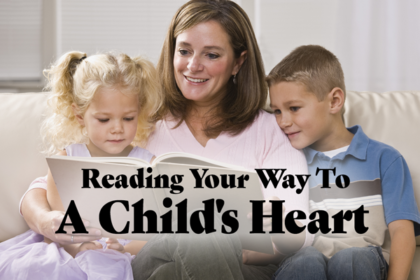 Both of my kids, each with their unique reading capabilities, learned all that because we read aloud to them and filled their hearts. So as we come to the end of another year, think about renewing time spent with your children. Stoke the fire, gather in the living room, and grab a book to read to your children.